A microwaveable potato that takes only 4.5 minutes from the fridge to the plate. 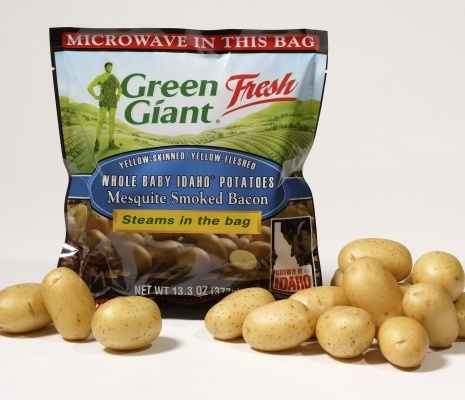 This easy and convenient potato product is the perfect way for you to serve your family with a fresh vegetable with the convenience of a quick meal. These simple to prepare potatoes are complimented by a delicious mesquite smoked bacon sauce.